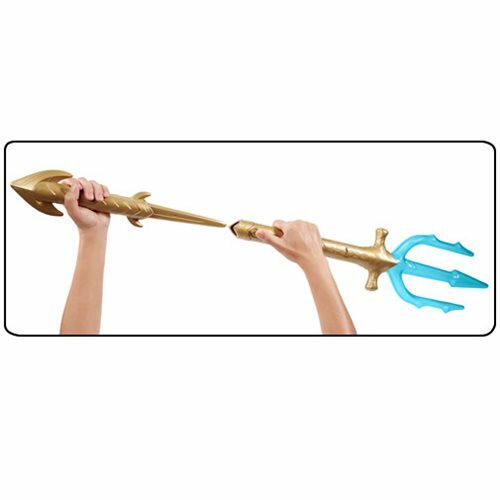 Battle like Aquaman with this Aquaman Movie Deluxe Light and Sound Trident! 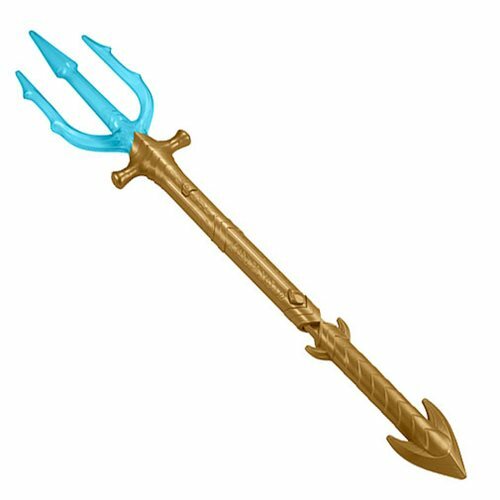 Run into combat, swing the trident, and ocean blue lights on its triple point spear will power on. 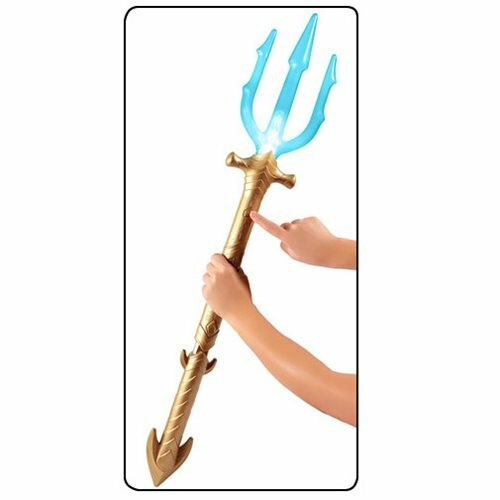 Concealed in the Trident is a hidden blade you can draw and engage in surprising offensive play! Complete your Aquaman battle gear set with his armored chestpiece and gauntlets (sold separately)!